Timeless tradition meets contemporary fashion in this blazer from the coveted brand, Van Heusen. It comes in a printed pattern, which is further complemented by full sleeves. 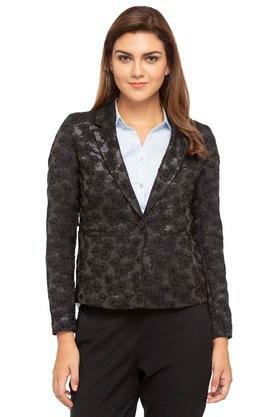 Besides, it has a refined finish and is easy to maintain as it has been crafted with care using a good quality fabric. 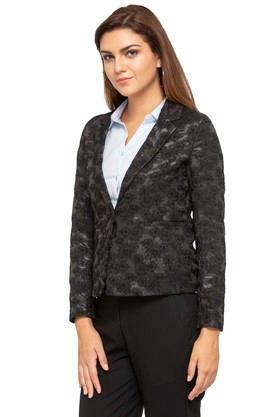 Pep up your style quotient by wearing this blazer on any casual occasion. You can wear it over a shirt along with a pair of pants to flaunt a smart look.